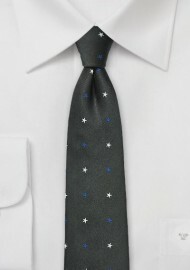 A preppy skinny tie in black, decorated with tiny woven stars in bright blue and white. 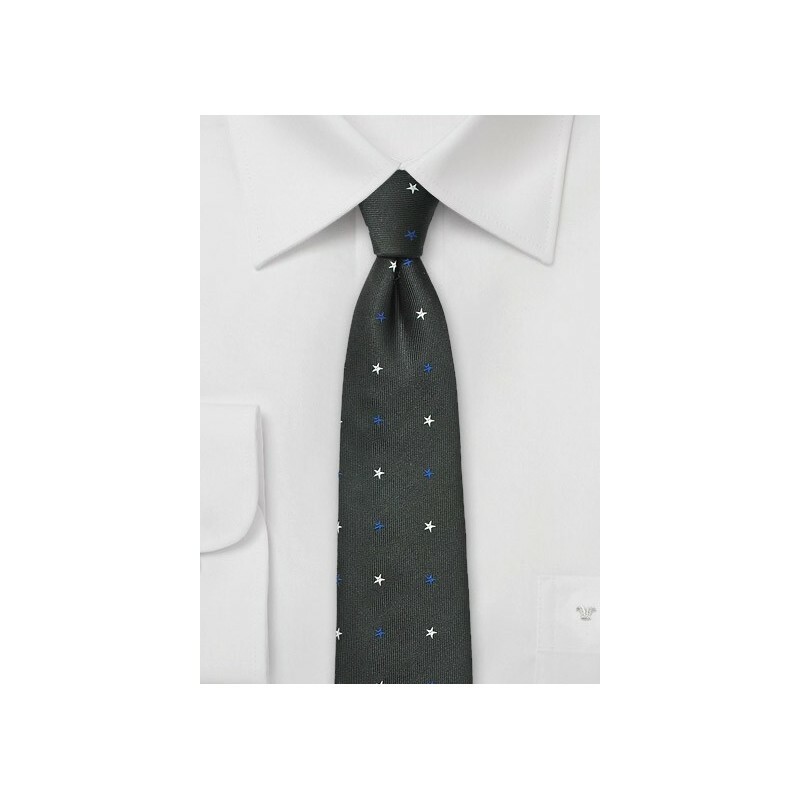 A fantastic looking tie for any modern cut suit in light to medium gray. Also available in dark navy blue and bright horizon blue. Made by hand from woven silk fabric.